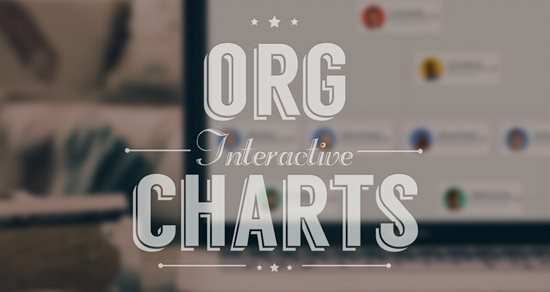 In last week’s org chart challenge, you shared creative ways to virtually introduce learners to key players in your organization. Your demos were amazing and included everything from standard org charts to creative meet the team examples. In the spirit of virtual introductions, I thought we’d look at ways to introduce learners to locations using virtual tours. Virtual tours are a great way for learners to experience remote locations—just like they would if they were on a real-world field trip. Before we jump into this week’s challenge, let’s look at some examples and basic considerations for designing virtual tours. One of the easiest tours to create involves a floor plan or cutaway shot of a location with buttons placed over key areas. Clicking each button loads a modal window containing information about the area. These are easy to build and a great starting point for virtual tours. 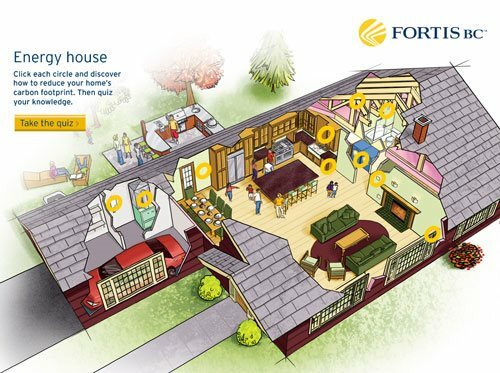 Using the floor plan concept, tours can use creative layouts to combine maps and photos. I really like the way the LA Times created this virtual home tour. Clicking each camera icon reveals a photo for that given location. Notice how the camera icon changes to indicate the direction the photo was taken. Another option is to use the map only for reference and place the interactivity on the photos. In this example, users navigate by clicking through a series of photos while the map is visually updated to indicate the general area of the photo. Audio-based tours emphasize narration over fancy graphics and interaction. 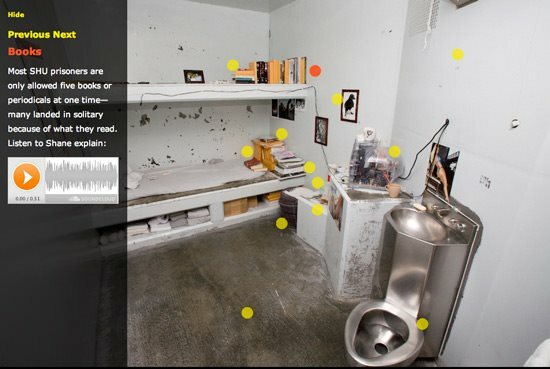 This example by Mother Jones shows how a photo combined with labeled graphics and audio narration can help learners virtually tour a prison cell. 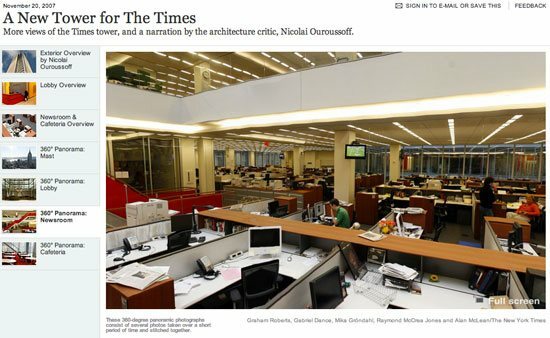 Tabs are another way to highlight key areas of a location by using image-based thumbnails. Each tab can represent a different area and include different types of multimedia. 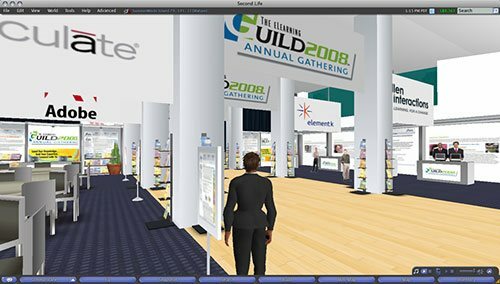 Virtual tours can be immersive experiences like those in Second Life and other virtual worlds. These are complex to produce and often difficult to navigate. Thankfully, we don’t need anything this complex to create engaging virtual tours! If you have some examples of virtual tours that you really like, please share them in the comments below. You can use Articulate Storyline, Articulate Studio, or PowerPoint to build your interactive virtual tour. Before you go on tour this week, take a look at the virtual introductions your fellow community members shared in last week’s challenge. Wishing you an tour-iffic week, E-Learning Heroes! Even if you’re using a trial version of Studio ’13 or Storyline, you can absolutely publish your challenge files. Just sign up for a fully functional, free 30-day trial, and have at it. And remember to post your questions and comments in the forums; we're here to help. 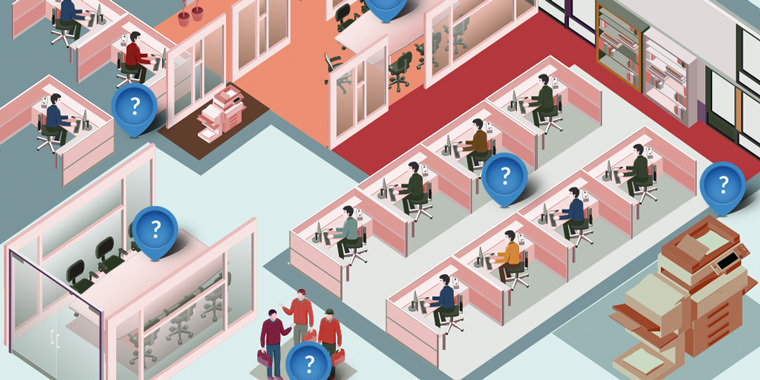 If you share your work on Twitter, try using #ELHchallenge to help others track your projects. OH MY GOSH! There are going to be so many creative examples for this one. I am excited to see everyone's entries. That's really cool, Nicole. I wish I could go to Paris! I like the flag animation at the beginning. I am crossing my fingers no one does the same tour as I am. I am going to do two. A fun one and more of a serious one. @Melissa - Is this something you created, or an example you're sharing? (It's terribly clever!) @Nicole - Beautiful! Thanks so much for the oeuf de Pâques, too. :) I needed that. Very excited for you and your upcoming trip! @Jackie, Thanks. Yes I created it but not the map illustration! @Jackie, as in I did not draw the map. Melissa - Love your submission! So colorful and fun. Super well done!! @Nicole - a great start to the challenge. A month in Paris, wow that sounds great. Lots to do and see and eat and drink!! Hope you have a great time. @Melissa - I really liked to intro that draws you in and it was fun to explore the different areas of the factory. @Melissa, very well done!! @Nicole, I hope no puppies where harmed during the production of your demo ;) Enjoy Paris! Hey Gang! For this week's challenge, I felt as if I needed to reveal a deep, dark secret of mine. I'm a trekkie. Yes, it's true - I love all things Star Trek and I'm no longer ashamed to say it! Because of this, it only made sense that I show my dedication to my inner-trekkie by combining it with my love of e-learning and provide you all with a virtual tour of the USS Defiant. http://bit.ly/1nuv3kv I'll be following-up this week with a blog post to further demonstrate my trekkie-ness. Enjoy! @Tim Slade Awesome use of animations, that takes patience. Someone better do a Star Wars version! It would be really cool to see something like the Hunger Game course too. There are so many ways this activity could be done. Looking Schweet Tim! Love how the interface builds up. really gives me the feeling I'm behind a Star Trek terminal. Matt - Wow! Never knew there were so many big things in NSW! Cool!! I like that you made it drag and drop to make it more interactive. Nice! @Matt - What's not to love about yours! The potato is my favorite. Thanks Nicole! I knew some of them but there were a few that I wasn't aware of either! What a great walk through for finding the Disney Princess. My little princess hunter says we need to go to Epcot first, the next time we get to Disney.